After what feels like years of not blogging I am finally back! Really, it hasn't even been a year. I could think of a million excuses... but the biggest one is time. The older my kids get the less time I seem to have. I've also been spending a LOT of time planning, working on, and changing things in my house. Major things! I love this house - but there is still a whole lot updating to get it where I want it. As you will see in one of the photos below... I'm decorating around it all. I have drywall patches and very old counters, but that doesn't mean no cute decorations here. I still have to live while all this is going on! 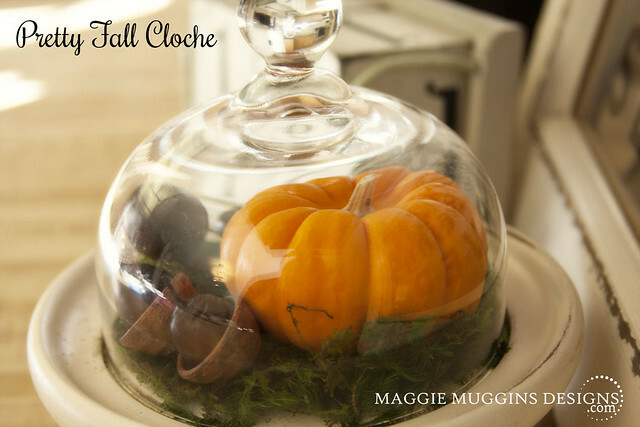 This cloche is one I made several years ago from a cheese plate. It usually sits on my kitchen counter with the little apples in it, but I sometimes change it out. I decided to do something with it for Fall. I got an idea here and pinned it to my "Fall & Thanksgiving" board for later. 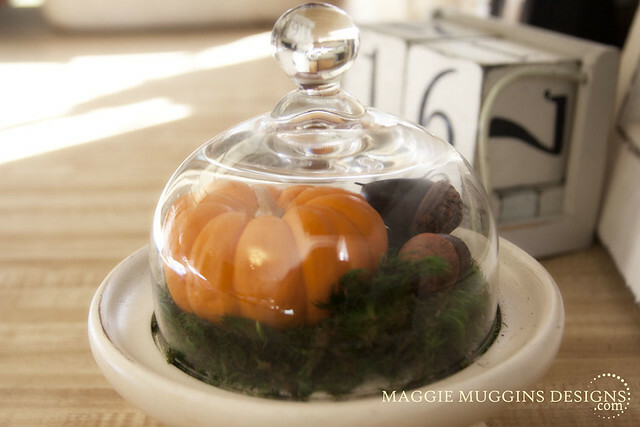 Inside I used moss and little faux acorns from Hobby Lobby and a mini pumpkin from Trader Joe's. I love how it turned out! It really didn't cost much to make either. 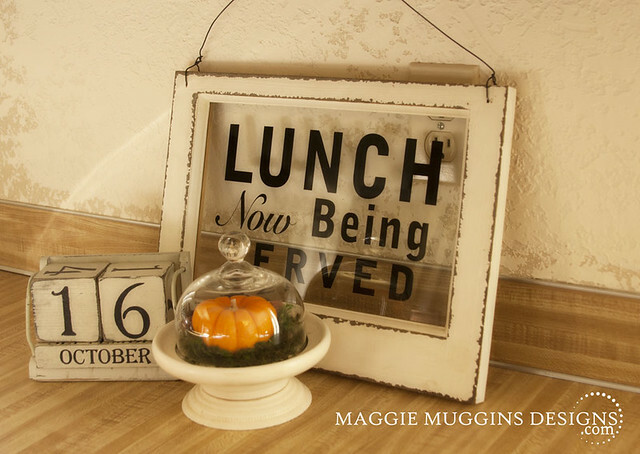 Now it has a prominent place on my counter near my "Lunch" sign from World Market (I got the sign on clearance last year but I think they are still available) and my block calendar I bought at a small vendor a few years ago. Check out this link party for more inspiration.